After a 10-year career as a fighter pilot in the Royal Australian Air Force, Boo’s subsequent business career has seen him build multi-million dollar businesses. A published author, he is an in-demand high performance business coach and speaker. 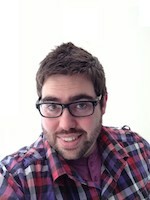 Jordan joined Australian Aviation in July 2014 and has responsibility for daily news content on australianaviation.com.au as well as the magazine’s Debrief news section. Previously, Jordan spent six years at Australian Associated Press, primarily as aviation reporter, but also covered media, sport and economics. He began his journalism career at online publisher Sportal and completed his traineeship at The Age newspaper. Career highlights include working as a radio commentator at the Australian Open tennis tournament and covering the 2012 London Olympics. On the aviation front, Jordan has covered the QF32 engine failure emergency and the annual meetings of the International Air Transport Association. In 2017, Jordan was awarded the Australasian Aviation Press Club’s Aviation Journalist of the Year. Chief Correspondent of the Hong Kong-published Orient Aviation magazine, Tom Ballantyne has 40 years’ experience in international journalism. Born in Edinburgh and now an Australian citizen, he has worked for newspapers in the UK and Australia as well as operating as a war correspondent in Southern Africa in the 1970s. Tom has covered the aviation industry for the last 25 years, writing for such publications as Airline Business and Australian Aviation. 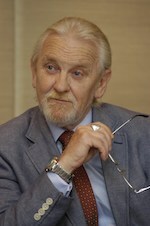 He is a regular commentator on aviation issues on television and radio in Australia, Asia, the Middle East and the United Kingdom. The author of several travel books, Tom is regularly invited to be a speaker at aviation conferences and seminars. It’s no surprise that Owen found his way into aviation. His father had a diverse career that stretched from 201 fighter missions over Korea with the RAAF to the airlines and many and varied tasks in General Aviation. Entering the industry as a commercial pilot in 1987, Owen’s flying included charter work, flight instruction and ferry flights, spanning the Kimberleys to Micronesia. Terms as a chief pilot, chief flying instructor and an approved test officer rounded off his time in GA before joining Ansett in 1994 as a First Officer on the 737. Since the airline’s collapse he has flown with an international carrier and completed a Masters Degree in Aviation Management. His writings on aviation have been published both in Australia and abroad, covering subjects from the historic Southern Cross to satellite navigation. Joining Australian Aviation in late 2005, Owen won the National Aviation Press Club’s Aviation Technical Story of the Year award in 2006 for his piece on ADS-B. His first book, Down to Earth, traces the combat experiences of a WW2 RAF pilot. A keen cricketer and terrible golfer, Owen lives in the Southern Highlands with his wife, Kirrily and their three daughters and son. John Walton covers the passenger experience and writes Australian Aviation’s Cabin Pressure column. Growing up shuttling around the world on Boeing 747-100 and -200 aircraft, John remembers with fondness the days when bored pilots and cabin crew didn’t mind an inquisitive teenager hanging around in cockpits and galleys asking questions. He’s since developed his observations into a journalistic specialty covering cabin interiors, seating, connectivity, and premium class service. A keen analyst of how developing tools can be applied to aviation news, John is at the forefront of social media in the aviation sector, broke the 2014 hijacking of flight ET702 on Twitter (@thatjohn), and continues to work at the bleeding edge of newsmaking. 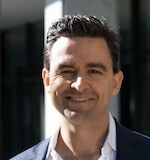 Formerly resident in New York, London, Beijing and Wellington, John started writing about the Australian market in 2011 at Australian Business Traveller, where he was formerly deputy editor. When not at the keyboard, John lives out of a suitcase, sings tenor in choirs on four continents, and adds languages to his “I speak this enough to get by while travelling” collection. He has a weakness for the A340-600, fully flat business class seats with direct aisle access, and Champagne from the Vallée de la Marne. John welcomes email from readers to john@walton.travel, and discussion on Twitter: he’s @thatjohn.